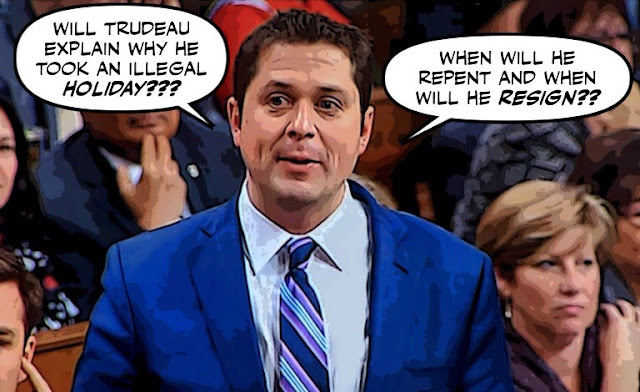 As you know Andrew Scheer and his Cons returned to Parliament determined to pound Justin Trudeau into submission by asking him the same question over and over again. 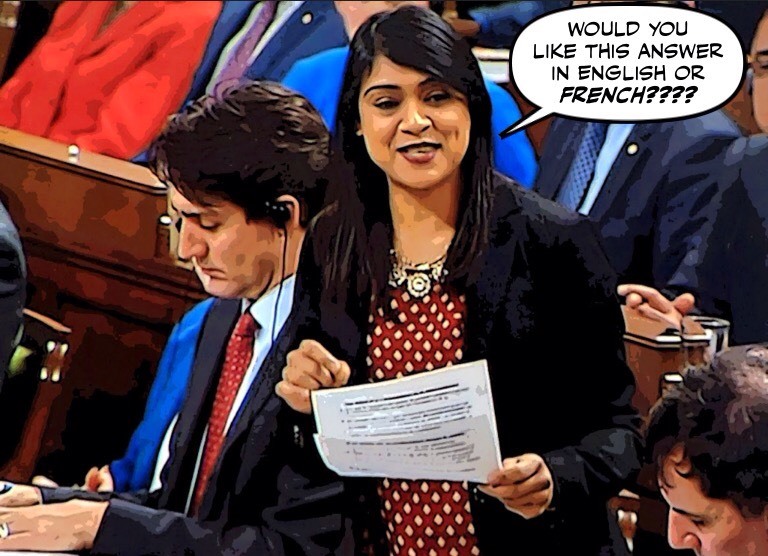 But the Liberals frustrated that dastardly plan by having their House Leader Bardish Chagger reply instead, as she did again yesterday. Which strangely enough seemed to catch the Cons by surprise. I tried to watch Donald Trump's State of the Union address last night from start to finish. But it was really long, and really boring, and since I was lounging on the couch I soon fell asleep. Only to wake up with a start, and appreciate the true horror of what I was watching. 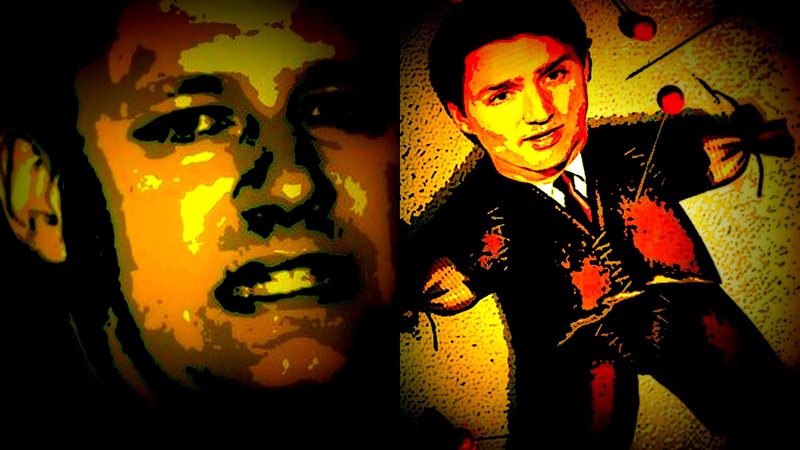 For weeks Andrew Scheer has been claiming that when Parliament resumed he would destroy Justin Trudeau with a new and devastating assault on his ethics. But when it did resume yesterday, all he could come up with was more of the same. Conservative leader Andrew Scheer spent his first question period of 2018 reminding Justin Trudeau that he is the first Canadian prime minister found in violation of federal ethics laws. 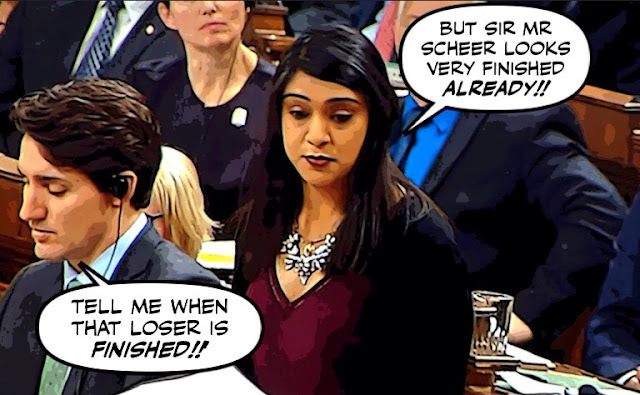 So when Scheer and his Cons asked basically the same question over and over again, Trudeau only answered five of them, and left it up to House Leader Bardish Chagger to repeat basically the same answer. Which left Scheer flailing around, and looking like an idiot. 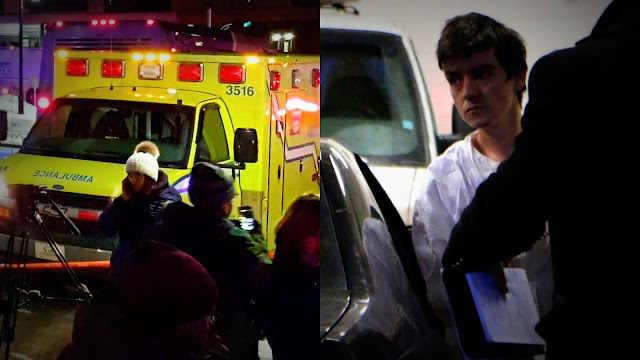 It's been one year since the Le Pen groupie Alexandre Bissonnette burst into a Quebec City mosque and opened fire on a group of helpless worshippers. He killed six people, and wounded nineteen others. 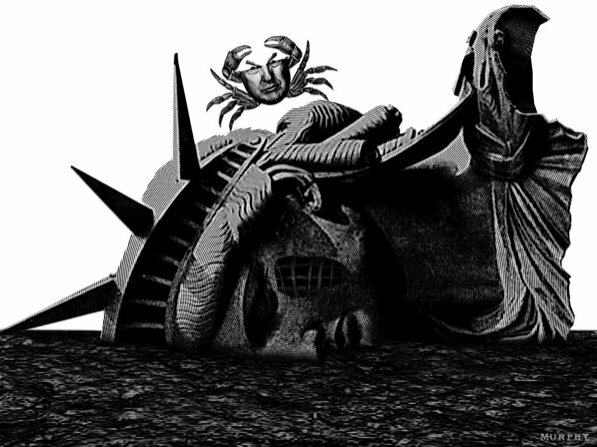 It was a horrifying massacre and a real nightmare. But what I find almost as disturbing, is what happened afterwards. So when the bully was finally booted from office, I hoped that the Cons had learned their lesson, and would at last start acting like Canadians, instead of Republicans. But sadly that was not to be. For Andrew Scheer their new leader is just as bad as the last one. It couldn't have been a more revealing contrast. Andrew Scheer gathered with his Con caucus in Victoria. Plotting 101 ways to destroy Justin Trudeau, in a small sweaty room reeking of boredom. 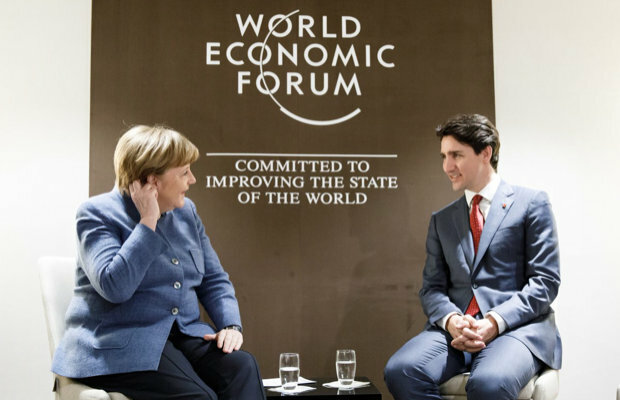 While Trudeau was at the Davos summit, and together with Angela Merkel, was being acclaimed as the most respected leader in the world. And the Prime Minister of one of the world's most successful countries. So how did the loser Cons react to that? Answer: By taking dead aim at Trudeau's socks. It's the kind of request that would have made poor old Vincent Van Gogh cut off his other ear. 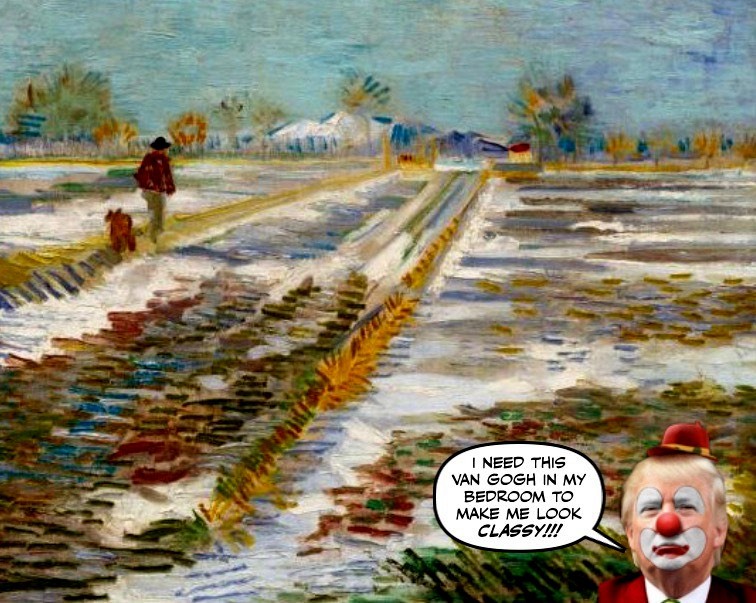 Donald Trump writing to the Guggenheim Museum to ask if he could borrow Van Gogh's Landscape With Snow, to hang in his private quarters. Fortunately the museum said sorry, no can do. But did offer to lend him something even better. It's been almost two weeks since Andrew Scheer came rushing out to denounce Justin Trudeau for imposing un-Godly restrictions on the government's summer job program. But since then Scheer has been strangely silent about the issue, and has dropped it like a hot or hellish potato. Which is weird, considering he's a religious fanatic who would love the government to pay kids to put up posters like these all over the place. She came charging out of the Great White Somewhere on her trusty Canadian steed, Goober. She claimed that we were in great danger, and that only she could save our country, and its precious Tim Horton values. 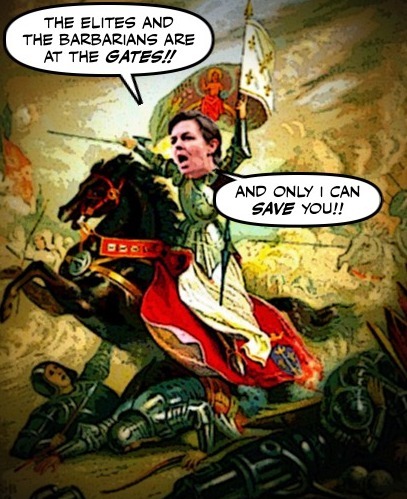 But sadly Kellie Leitch couldn't even save herself. And now she's finally calling it quits. 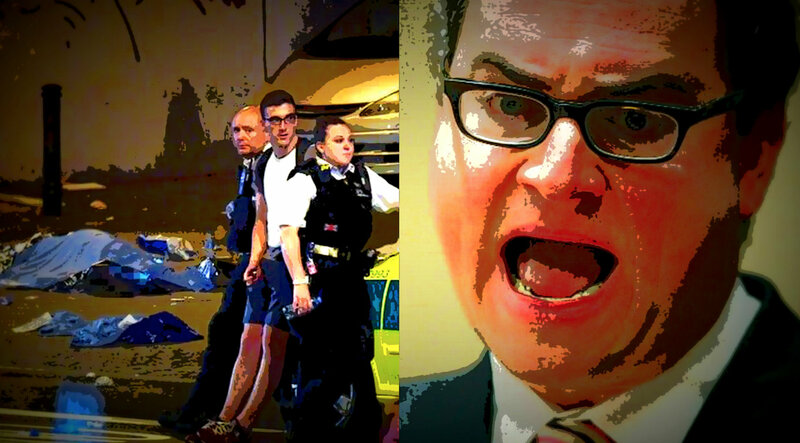 Did Ezra Levant's Ghastly Rebel Trigger a Terrorist Act in Britain? I like to mock Ezra Levant and his ratty rag The Rebel. But of course the man is not a joke, or at least not funny, and I have always worried that his relentless hate mongering might lead to tragedy. By inspiring one of his sick followers to hurt or kill people. And now it seems that's exactly what has happened. As everybody knows Ezra Levant is Andrew Scheer's favourite right-wing YouTube host. Although relations have been strained ever since Scheer was forced to pretend he hardly knew Levant. And ran off with the co-founder of The Rebel, Hamish Marshall. 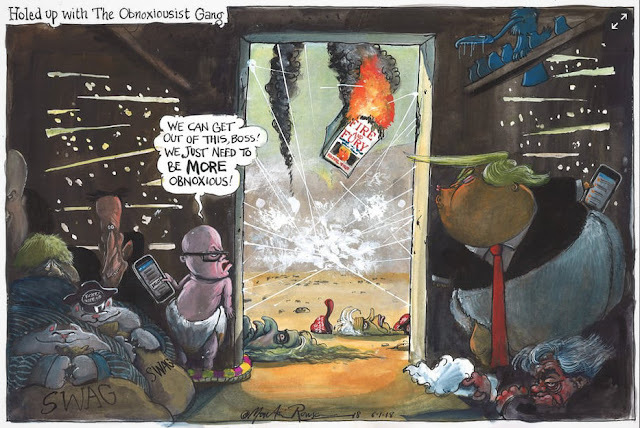 Leaving Levant bobbing up and down in his own excrement, and The Rebel sinking like the Titanic. As you know Donald Trump somehow managed to pass his first medical check-up as president. And although some suspect the fix was in, even aced a cognitive test designed to reveal the first signs of dementia. But while Trump himself was apparently ecstatic, and has been bragging about how healthy and what a genius he is. It seems the American people are not convinced. Donald Trump must have been so disappointed. He wanted to spend the weekend in Mar-A-Lago, celebrating his one-year anniversary in power with his billionaire friends. And of course, playing even more golf. 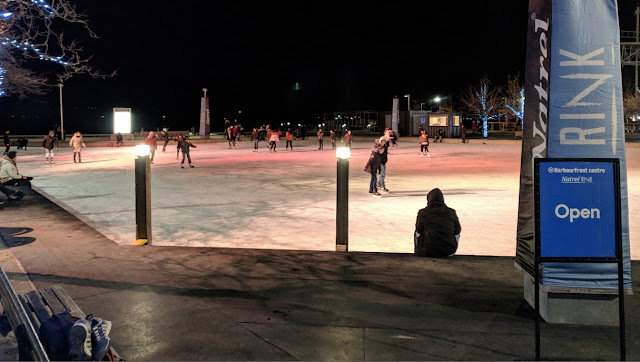 But then the government closed down and he was forced to stay in chilly Washington, and pose for pictures to try to make it look like he was working. 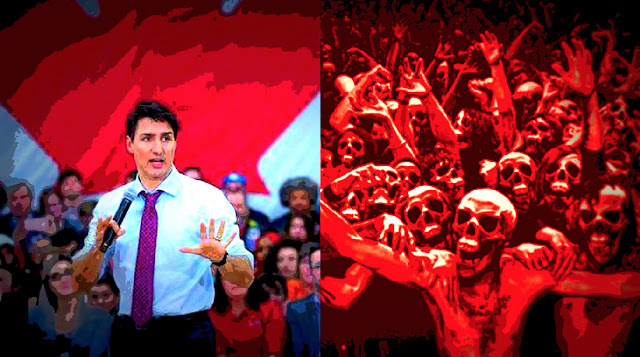 Ever since Justin Trudeau came to power, the Con media in this country has found any excuse to attack him like a pack of rabid zombies. But now they may have found the foulest excuse yet. Now they're accusing the son of the man who brought in our Charter of Rights of violating that charter. Donald Trump does a lot of bad and dirty things. Always has, always will. It's the nature of the beast. But the one that disgusts me the most, without the shadow of a doubt, is the sight of that morally depraved pervert posing as a pious person. 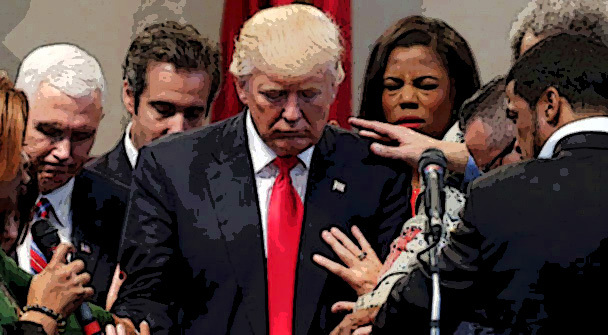 While his grotesque Evangelical groupies hug him and stroke him, and sell their souls for political power, so they can go after women and LGBT Americans. And the stench of hypocrisy burns the nostrils. Which is why I really like this story. 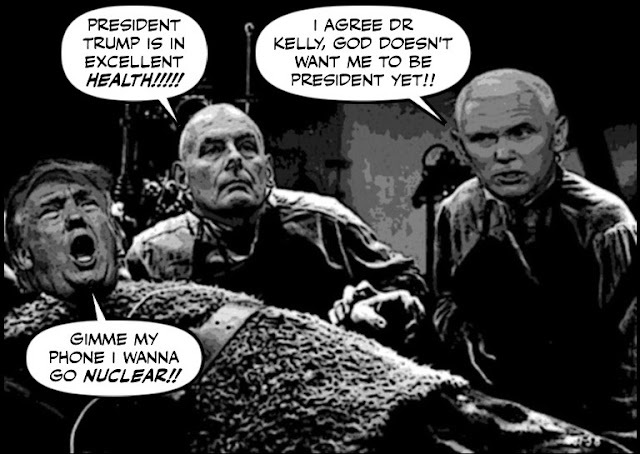 In my last post I lamented the fact that the White House doctor had horrified people all over the world, by giving Donald Trump a clean bill of health. And by declaring that he was mentally competent, when just about everything he says or does seems to suggest the opposite. Which predictably enough had Trump calling himself a genius. Again. Only to show the entire world that he's a drooling dotard or a babbling Baby Man. 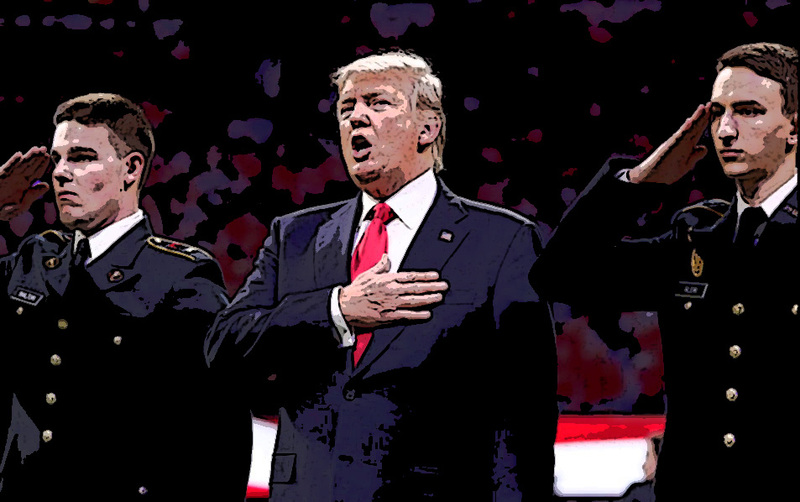 Are You Ready For Donald Trump The Cartoon President? 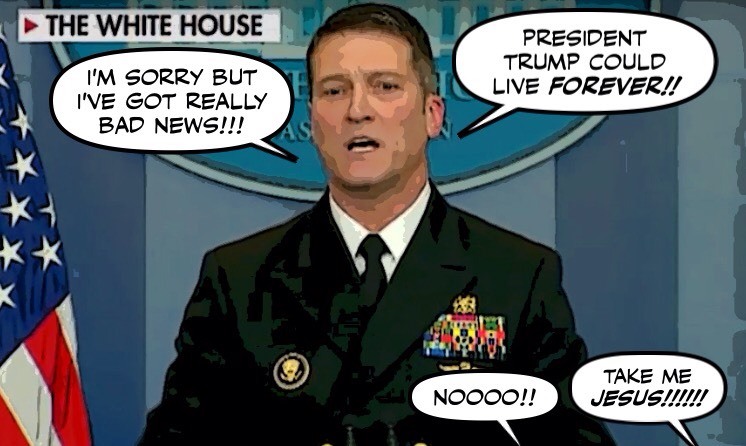 I know it's not a nice thing to say, but I have to admit that when I saw the White House doctor declare that Donald Trump had passed a cognitive test with flying colours, I was both stunned and disappointed. And when I saw this I practically collapsed. A Canadian designed the test that Donald Trump PASSED? So now we have to live with him FOREVER? Or until death do us part? 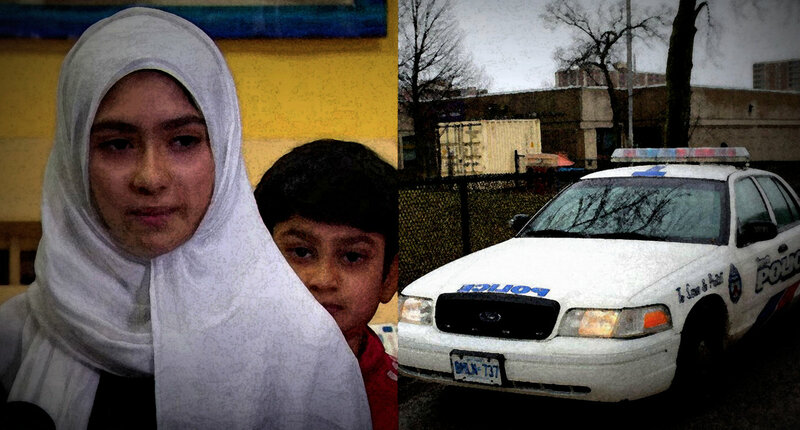 By now I'm sure most of you have heard the story of the 11-year-old Muslim girl in Toronto who claimed a bigot had attacked her. And how that turned out not to be true. Just a child's make believe story. Like many Canadians I was relieved the attack didn't happen, and both disappointed and mildly annoyed that the girl lied. But she is just a child, and what really disgusts me is the way the Cons and other right-wing scum are blowing up this story for the lowest of reasons. And using it to attack the girl, her mother, other Muslims, and even Justin Trudeau. Today is Blue Monday, the day some say is the most depressing day of the year. For obvious reasons. AS the Christmas memories fade, all we are left with are a hammered bank account, a bulge around the waist, gloomy weather and a return to work after weeks of partying. These factors all come together in a perfect storm for a single day believed to be the most depressing of the year which has been dubbed 'Blue Monday'. And although I should be immune. I'm happy, I didn't spend much at Christmas, I didn't put on any pounds. And the only thing making me blue, literally, are the extremely cold temperatures this winter. I did find something really depressing, so I could join in the collective misery. Why Are The Cons Trying to Hide Their Rebel Connections? As I've mentioned many times before, Andrew Scheer must really love his Mini-Me Hamish Marshall, the co-founder of the hate mongering Rebel. Marshall led his campaign to a thirteen ballot victory at the Con leadership convention. And a grateful Scheer rewarded Marshall by making him the Con's new campaign manager, charged with returning the Harperite cult to power in the next election. But if Scheer does love Marshall you'd never know it, because he hates to talk about him. And as he did a few months ago, if you ask Scheer about him, he panics and runs for cover. Is Andrew "Mr Baloney" Scheer Trying to Scuttle the NAFTA Negotiations Again? I always thought it was too good to be true. Andrew Scheer offering to help the Liberal government defend NAFTA from Donald Trump and his Trumpkins. By going down to Washington next week and lobbying the Americans, to show them that when it comes to the important issues, we're all on the same side. Conservative MP Andrew Scheer and a handful of his party’s MPs are headed to Washington to promote a “united Canadian front” on the benefits of the North American Free Trade Agreement, two weeks before officials are set to resume renegotiation talks in Montreal. At least that's what the Cons have been claiming. And sure enough it was too good to be true. Donald Trump has always been a racist. From the day he launched his campaign to the monstrous place we are in now. But yesterday had to be his worst and most racist day ever. He was up late the night before, tweeting away. Trying to deny that he had called El Salvador, Haiti, and some African countries "shitholes" at a meeting with lawmakers. Only to be called a liar by a Senator who was at that meeting. And portrayed as a shithole himself. I've now had a chance to watch two of Justin Trudeau's Town Halls. And although I always find it hard in the cold dark days of January to get excited about anything. I have been extremely impressed by this remarkable democratic exercise. 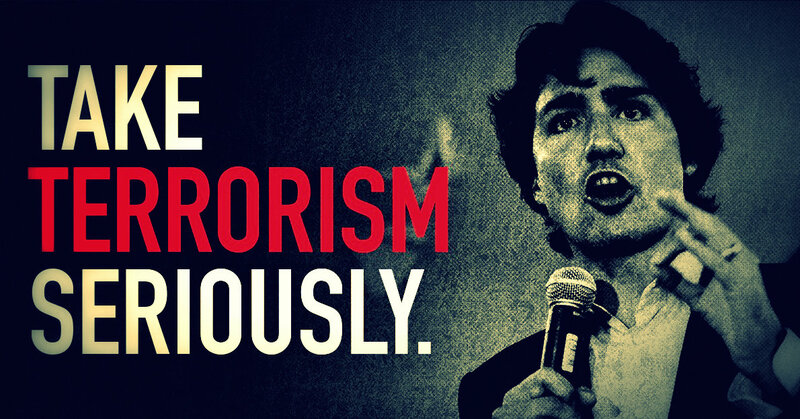 And by the courage of our Prime Minister. Andrew Scheer likes to portray himself as a man on a mission, a man chosen by his God to bring truth and light to Canada. As well as an avenging Trumpkin born to rain fire and brimstone down on Justin Trudeau and his "elites." But sadly for Scheer, as even some in our Con media have pointed out, that schtick just isn't cutting it. And as I have pointed out, he is getting an ugly and most ungodly reputation as a compulsive liar. Donald Trump likes to think of himself as a super-sized patriot, with the only thing true about that being the size of his massive ego. For let's face it, it's not easy to call yourself a patriot of any size, after applying for and receiving five draft deferments to avoid being sent to Vietnam. But there he was in Nashville on Monday, addressing the American Farm Bureau's annual convention. And getting a standing ovation for demanding that all Americans show the flag and the national anthem more RESPECT. 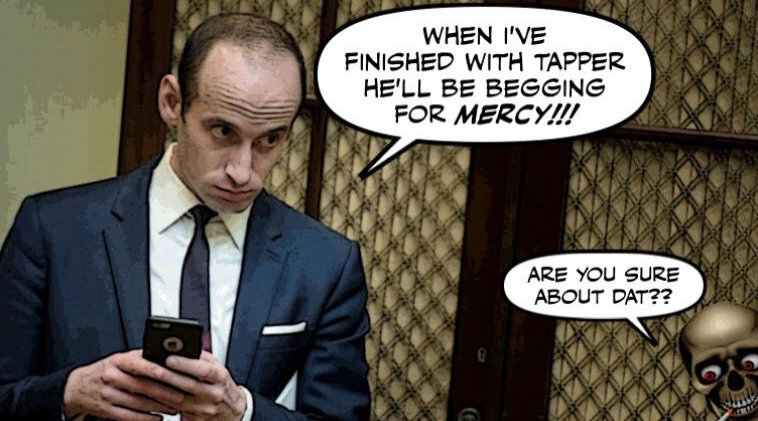 In a White House full of freaks and flunkies Stephen Miller stands out as the freakiest of them all, after Great Orange Leader himself. The Trump "policy adviser" has been called everything from Goebbels to Gargamel, the evil wizard who wants to destroy the Smurfs and turn them into gold. But I call him Lizard Boy, for his smarmy racism, and the way he used to taunt Latino students in his high school, and order them to speak English. 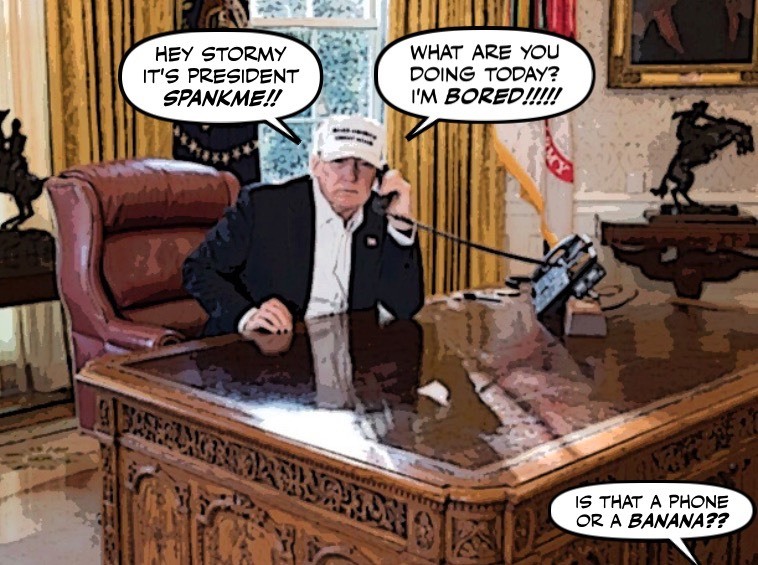 Donald Trump is said to be in a desperate state. A man raging at the world. 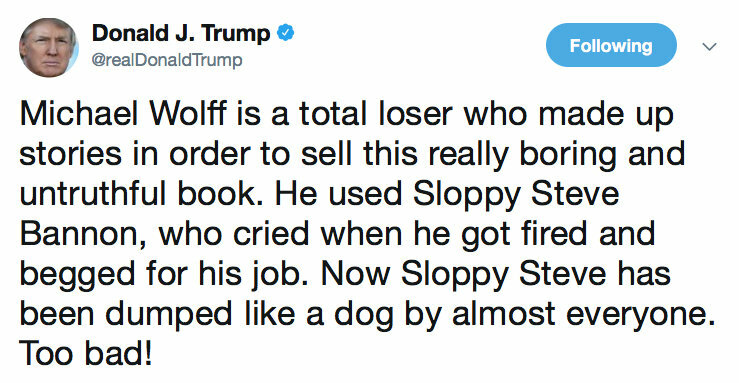 Michael Wolff's book Fire and Fury, and Steve Bannon's betrayal, have apparently driven him to the verge of a nervous breakdown. This tweet sent out late last night is a measure of his madness. 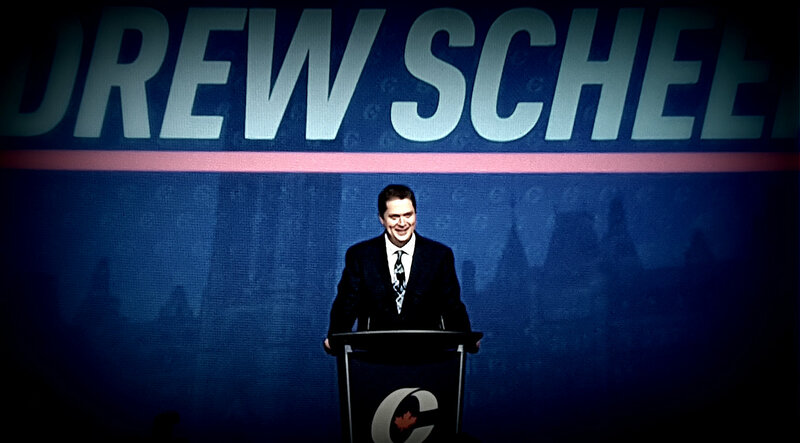 It's been eight months since Andrew Scheer was elected Con leader. 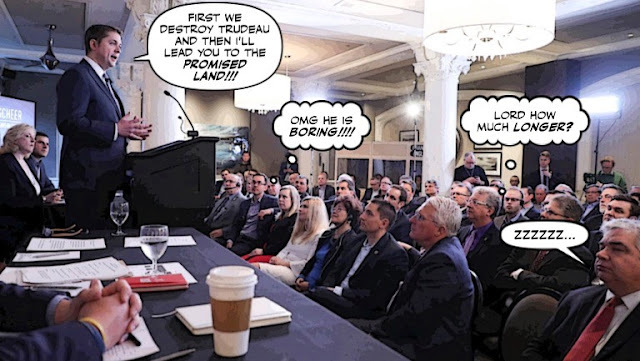 And the Con media started singing his praises, and cheering him on as he attacked Justin Trudeau. But now suddenly the Con media chorus is more muted, for obvious reasons. And some are actually turning on him. As you know Andrew Scheer is now desperate to improve his image, and try to convince Canadians he is not a bigot. After the Globe editorial board questioned his commitment to tolerance. Mr. Scheer has apparently made it a priority to rebrand his party as a Canada's brightest beacon of tolerance. Based on what we've seen, he may not be the person for the job. So yesterday Scheer swung into action, and announced he was going to show everyone he is a beacon of tolerance. By taking aim at the ghastly Con Senator Lynn Beyak. Yesterday, I wrote about a Globe article where Andrew Scheer claimed that him and his Cons were more tolerant than the Liberals. And I wondered whether Scheer was losing his mind, and why the Globe would print such nonsense. So I'm happy to see the Globe is now trying to make up for that. 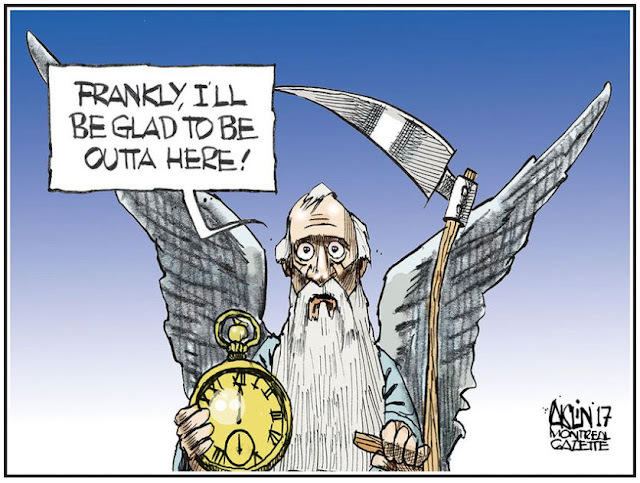 And for Scheer and his Rebel acolyte Hamish Marshall it couldn't be more devastating. 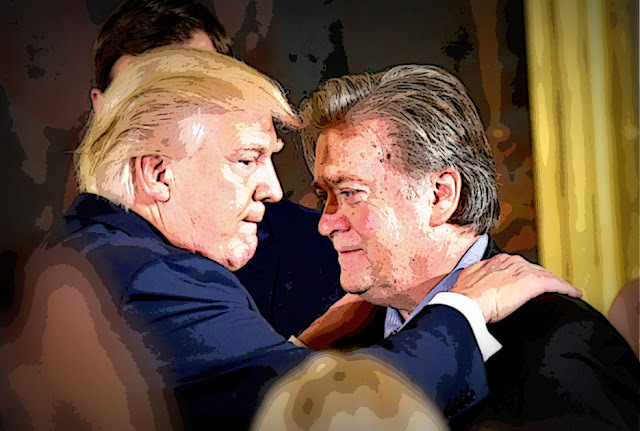 Once they were America's oddest political couple, the flaming dotard Donald Trump and the grubby boozer Steve Bannon. Five months ago, after he fired Bannon, Trump couldn't say enough nice things about his alt-right buddy. 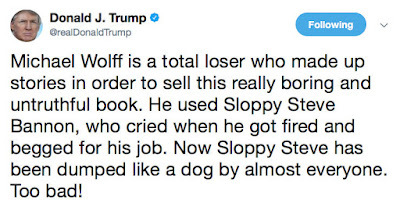 Now he's saying that the day Bannon was fired, he didn't just lose his job, he lost his mind. As someone at the New York Daily News said, life comes at you fast. And now it's a cuck fight. 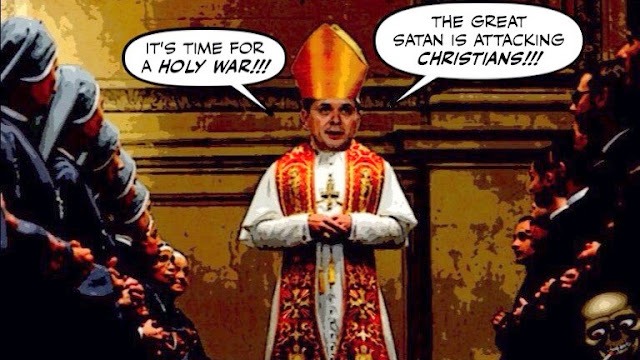 Not long ago I warned that Andrew Scheer's shadowy inner circle of religious fanatics, the group known as The Conclave, was in a full blown panic, or a friggin' frenzy. Their attempt to destroy Justin Trudeau had failed, and worse, had left Schmear looking like Mr Ugly. So the time had come to try to make him look like Mr Nice Guy, or a nicer guy than Trudeau. Which I thought was ridiculous. I mean who would you rather get stuck in an elevator with? Justin or Schmeagol? But if that was ridiculous, this is INSANE. It's hard to believe. The year 2017 is finally over, and we're still here. But although just about everyone I know seems to heaving a giant sight of relief, and declaring that 2017 was a REALLY bad year. I think some really good things happened during its brief reign. Even though it was the year when I was almost killed.